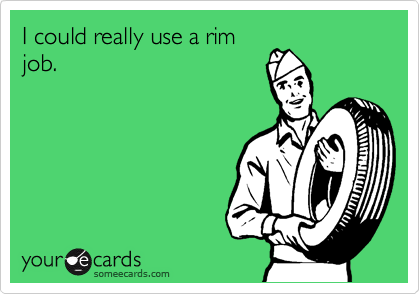 A Rim Job, a mystical phrase that gets thrown around a lot, even on my last dogging session, someone mentioned a well executed Rim Job. It left me wondering what this phrase meant, who came up with it and whether it had some secrets, but no, its quite simple. A rim job is simply this: Installing a large tyre manually onto a rim of a tractor. Often practiced locally in lay-bys. Another example is this: Carrying out a high quality alloy refurbishment. Often practiced in industrial buildings.